PRATTVILLE, Ala. (December 7, 2017) – The caregiving team at The Harbor at Hickory Hill has been certified by the National Council of Certified Dementia Practitioner in Alzheimer’s disease and dementia care training (ADCT). The extensive three-day training equipped caregivers in managing several characteristics of dementia residents: diagnosis, prognosis and treatment, nutrition, activities, paranoia and communication. “Caring for people with Alzheimer’s and dementia can be a daunting task at times. 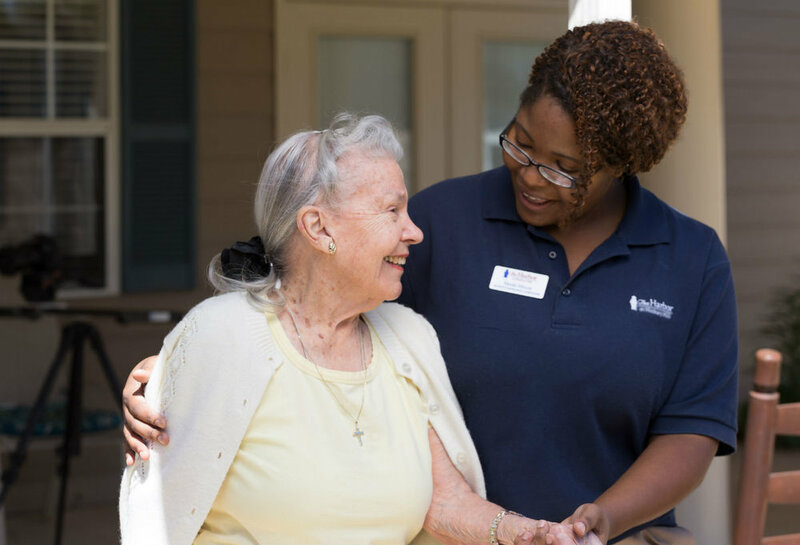 We want to provide the best possible care for both our residents and our team members. When training our team members, we teach them how to fully understand the inner-workings of someone with Alzheimer’s or other forms of dementia. Only by understanding what these residents go through each day, can our team members be fully equipped to serve our residents with the highest quality of care,” said Renita Carnes, a certified trainer who conducted the training. Carnes serves as training coordinator for Legacy Senior Living, management company of The Harbor at Hickory Hill. “Our mission is to serve the greatest generation with honor, respect, faith and integrity. Our memory care residents have the opportunity to live the best quality of life with our activities program, our state-of-the art therapy programs and great care, that is now provided by our certified team members,” Christy Goodwin, executive director of The Harbor at Hickory Hill, said. Only by understanding what these residents go through each day, can our team members be fully equipped to serve our residents with the highest quality of care.